The area’s oldest meet for Rodders, Classics & Antiques. Swap Meet, Car Corral & Sunday Only Casual Car Show. Find vendors selling car, truck & motorcycle parts, leather goods, sunglasses, t-shirts, shop rags, tires & wheels, titles and much more. This is a family friendly event. General Admission is $7 per day/$10 weekend pass. Kids 11 & under free. Free parking. 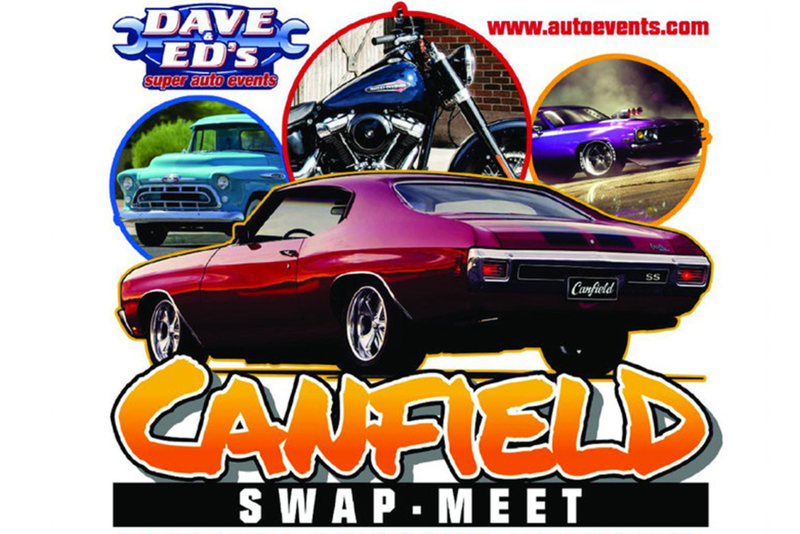 Remaining shows at the Canfield Fairgrounds are July 19-21, 2019 & September 13-15, 2019.